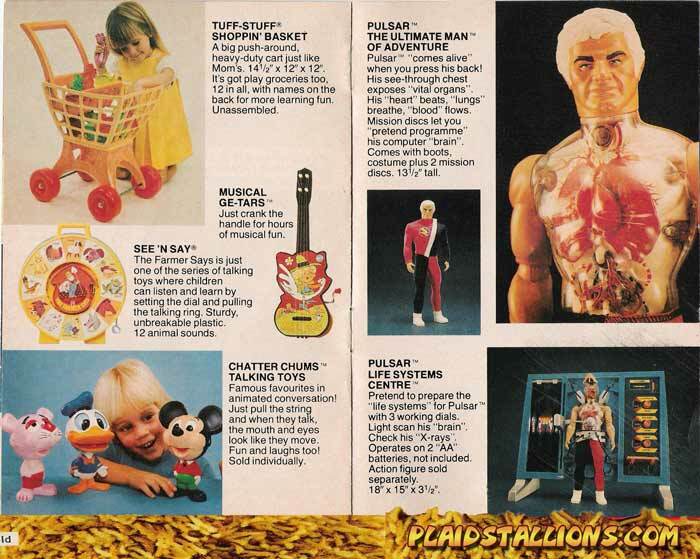 Pulsar was Mattel's answer to the Six Million Dollar Man but instead of being bionic, he was biological. I've never been able to figure out Pulsar's superpowers, I guess he just grossed people out. I really wanted Pulsar as a kid but I had a squeamish mother.